With high-tech sensor networks, the start-up organisation Smart Parks offers conservationists a new weapon for the protection of endangered species. Smart Parks are the result of years of collaboration between the ShadowView Foundation and the Internet of Life. With the same objective to protect game reserves, both organisations will continue together under the name Smart Parks. The new sensor technology used by Smart Parks is currently being used in wildlife areas to collect data for the improvement of nature conservation and park management. This includes monitoring patterns of tourists, rangers and animals, as well as information about environmental factors such as water quality, rainfall and temperature. 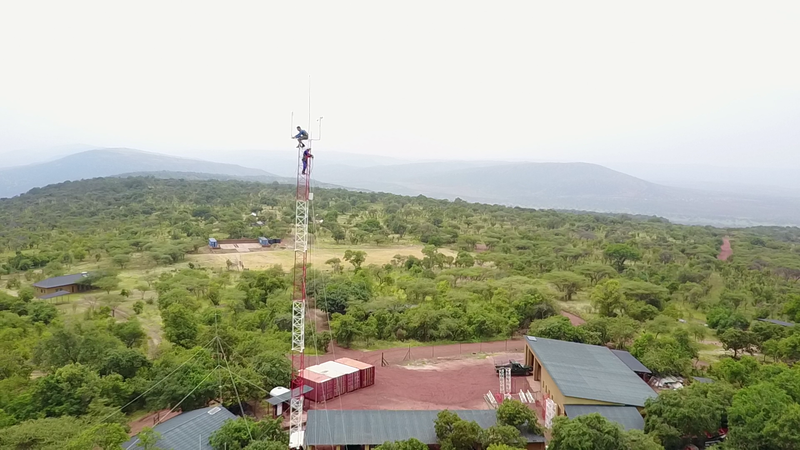 Smart Parks technology solution based on LoRa® is now being used in several African reserves, and where deployed has been live with no operational down time since inception. The system has helped to reduce the number of incidents considerably. Smart Parks was founded as a social enterprise and its main goal is to contribute to the protection of endangered species. It works together with African Parks, the World Wildlife Fund and the Frankfurt Zoological Society. One of the many examples of this ground breaking technology in use are rhinoceros in the Serengeti, one of Africa’s most well-known game reserves. The rhinoceros can now be followed day and night thanks to the Smart Parks ‘rhinotrackers’ placed in the horn and with no harm to the animal. The first sensor networks were installed in Rwanda and Tanzania, and this year more will follow including Malawi and India. "The application of this technology will help to improve the monitoring of all kind of variables that are relevant to reduce conflicts between people and wildlife. The LoRaWan network technology, connected to several sensors placed in the field, enables us to create a network of communication tools to alert people when elephants are approaching or when electric fences are not working properly. This will save lives of both people and wildlife! - Femke Hilderink, WWF Netherlands"